We define the experience through the service we provide, and we strive to offer the same high level of a personalized service visit to visit and hotel to hotel. The Story of Rajadhani Hotels, which opened its first hotel in 1972, is a tale of continues innovation, remarkable expansion, and a single-minded dedication to the highest of standards. 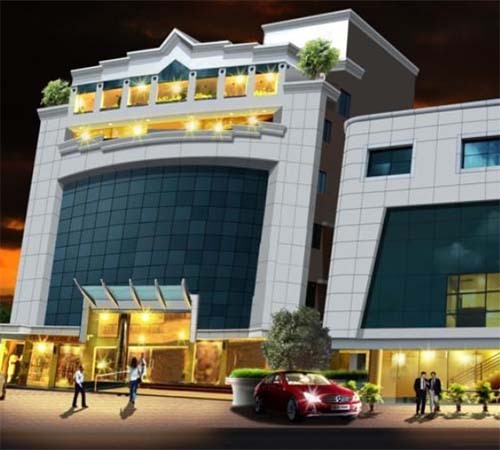 Rajadhani Hotels (P) Ltd is dedicated to managing assets in a manner, which will optimize durable financial returns. Its hands-on founders oversee all aspects of the day-to-day operations emphasizing marketing, employee development, and cost-effective operations for each hotel. The group has diversified with interests in a multitude of business with a great emphasis on being market leaders in their respective areas. Having laid a strong foundation in the areas of Hospitality business now they diversified into Construction, Trading, Telecom, Manufacturing etc. Since inception, Rajadhani Group has organized and staffed newly built hotels, reorganized hotels that were not operating successfully and renovated/repositioned hotels in a good market. Our success is a direct result of the experience of our people. Management is a function that in and of itself can be done well or poorly. On the other hand, strategy and the ability to think is a process unlocking the hidden door to astounding success. How do we operate our company strategically? First, we invest our energy and time to incorporate thorough, thoughtful analysis of the unique influences in each project. Then we develop action plans that will deliver the objectives in the fastest manner. In a recent study of business organizations globally, key drivers of the strategy include Customer demands for higher quality and service; the ability to attract and retain the best people; growing climate of competition due to expanding business boundaries; and new and rapidly changing technologies. We see little reason to believe that these same strategic drivers should not be the focus of hospitality industry leadership in the future. We began operations in 1972 constructing its first hotel in Trivandrum and we now have the following prestigious institutions in and around Trivandrum.